the maximum results from your plants. **We are closed until the 14th of January. All orders taken from the 19th of December will be processed then. Merry Christmas. 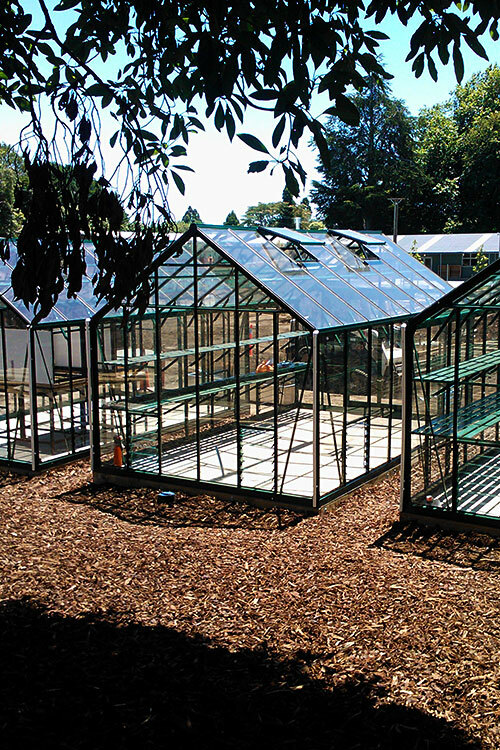 Trulux is a 100% New Zealand owned and operated company and have been supplying to the local greenhouse market since 2001. 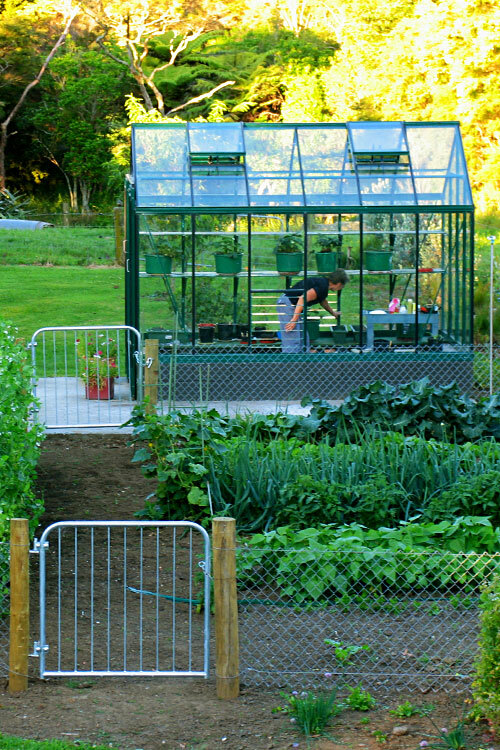 Our passionate team has one aim – to provide greenhouse gardeners with the best domestic glasshouse anywhere in New Zealand. 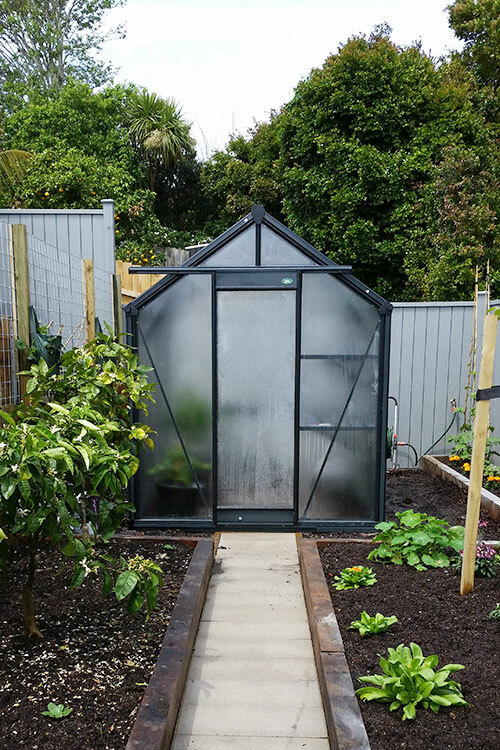 Our Auckland showroom in East Tamaki showcases a range of Trulux glasshouses fully erected, as well as the various glass options and optional add-ons available. Our friendly team will gladly assist you in all project decisions – from foundation options through to selecting which glass type will best suit your desired crop. Our greenhouses are made to last, look great and are user friendly – every Trulux greenhouse comes complete with all the great features that you need to get started. Compact on size . . . Big on quality and performance. 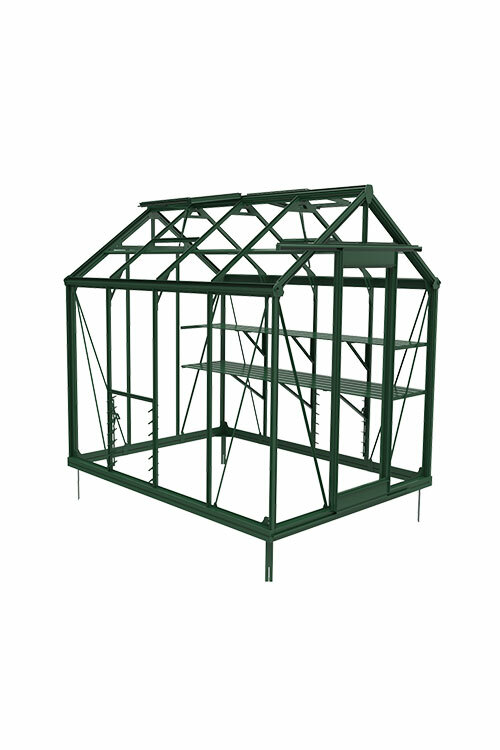 At 6′ x 8′ Trulux Mini is the perfect small garden greenhouse. Packed with Trulux features and ready for serious growing. 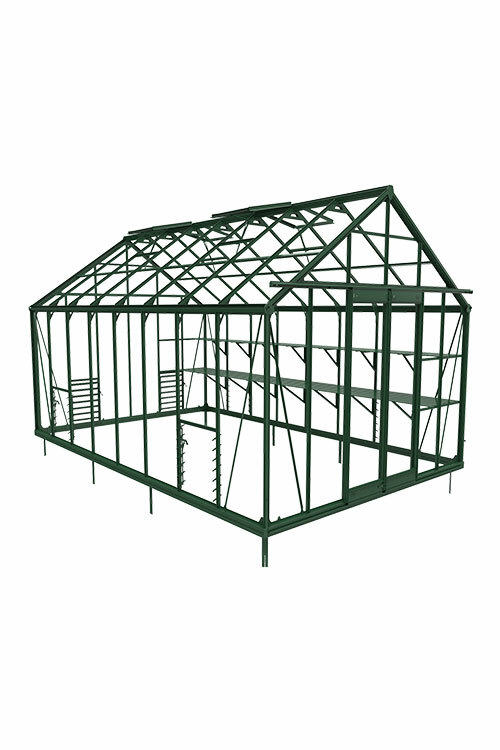 Feel free to call us to discuss your greenhouse requirements. 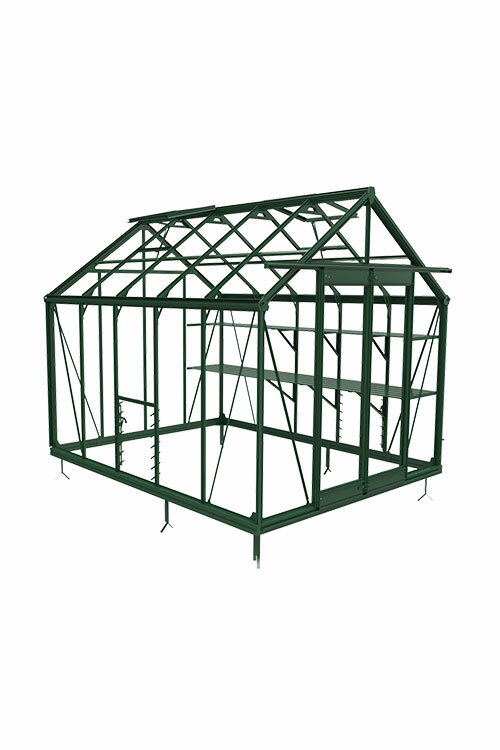 The Trulux Prime is our smallest double door glasshouse. 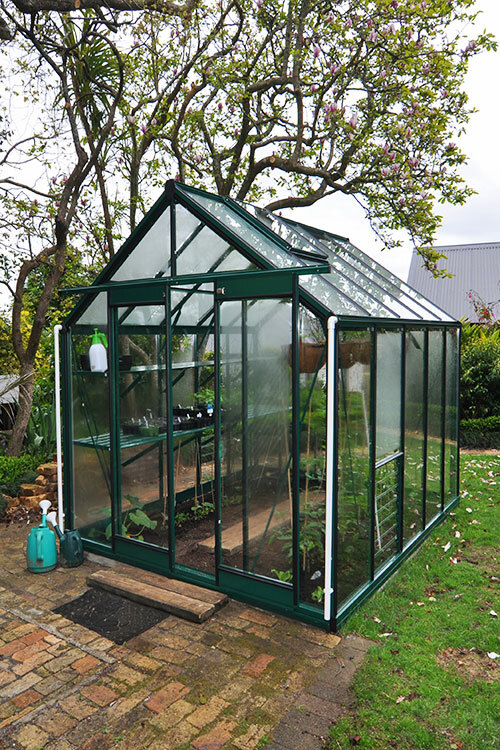 All Trulux Glasshouses come with a great range of features and the 244 is no exception. Twin Automatic vent openers, downpipes, epdm rubber and toughened glass to name a few. See our glass house features tab or call for a full spec list. 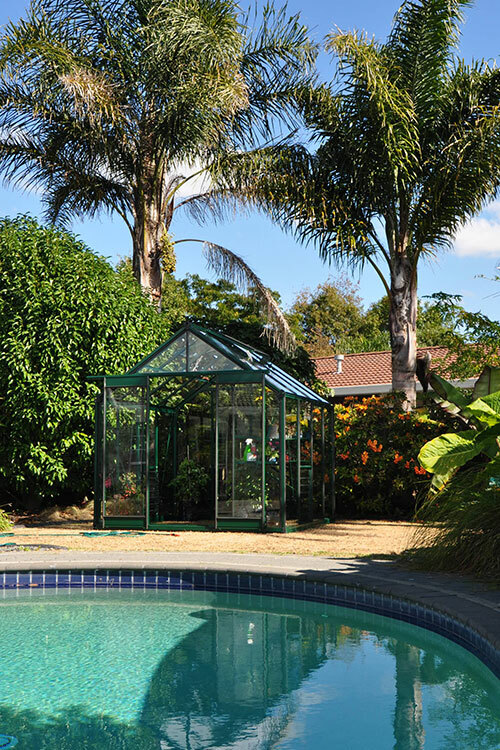 This is a fantastic glasshouse with fantastic features. The Trulux Pinnacle comes with all of the standard goodies that Trulux includes as standard fare; Floor mounted louvres, 4mm toughened safety glass, epdm fast lock rubber seal system, and heavy gauge aluminium frame that is powder coated. Our largest glasshouse model for the serious greenthumb! With a huge growing capacity the Trulux Maxi comes complete with all the standard Trulux features as well as additional ventilation. 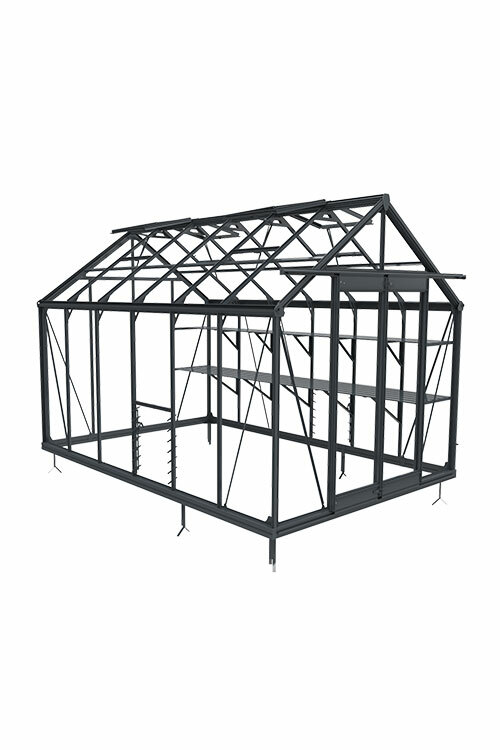 6 sets of ground mounted seven bladed louvres, 4 automatic roof vents, built in shelving and a high wind zone bracing kit makes for a fantastic quality greenhouse. For more information, questions or specs please call or email us anytime. 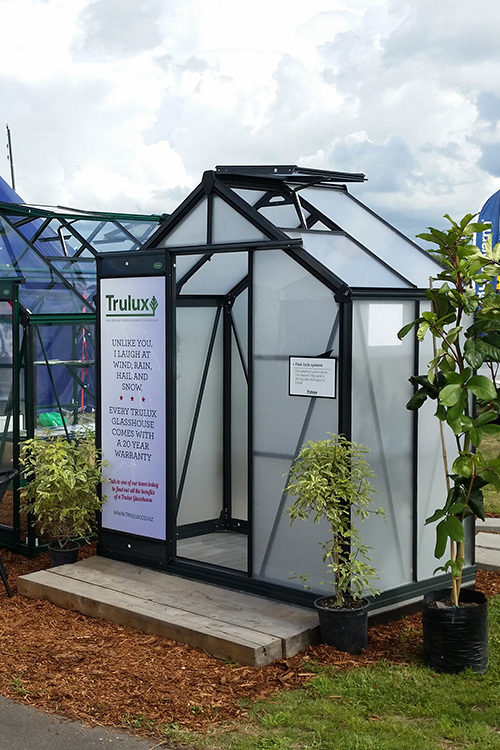 At 4′ x 6′ Trulux Mini is our smallest glasshouse. 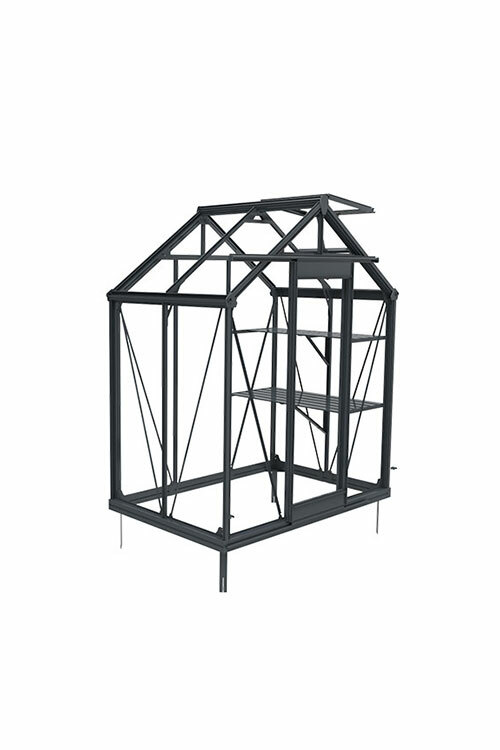 Extra bracing, auto openers, guttering, downpipes, powder coating and shelving are just a few of the great features that come STANDARD with all Trulux glasshouse models. Questions? Give us a call or an email – there are no greenhouse questions too big or too small for us at Trulux! We accept the Visa and Visa Debit for online purchases, for further purchasing options give us a call on 09 265 1790. Do I need any specialised tools? Most of the required tools are included – open end spanner, screwdriver, socket and even silicon for sealing your guttering. What you will need is a pair of scissors or knife to trim the rubber, a level (depending on site) and a ladder. What does the greenhouse sit on? There are various methods depending on what you require. 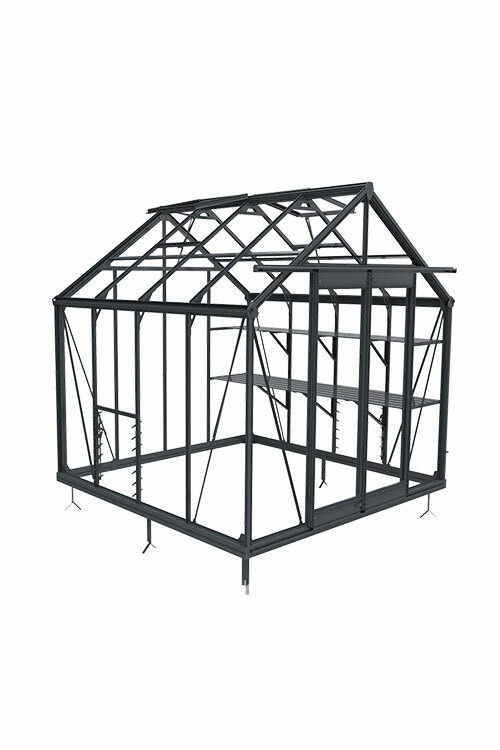 Trulux Greenhouses come with heavy duty anchors for either bolt down or posthole applications. The first thing you must decide is whether you want to grow directly into the ground or in pots. If you want to grow in the ground you can either build a nib wall from blocks, bricks,timber or boxed concrete. If you want to grow in pots/bags we recommend a concrete slab or a paved area. We use PBT transport to courier our products. If they can get to you in a truck they can deliver! Glass will be removed from truck and located as close as possible to your destination using a pellet trolley. All aluminium comes boxed and can be carried by two people. At this stage we do not offer that service however we recommend having a go yourself! The structure is not hard to assemble, the instructions are clear and the glazing system is safe and easy. We are glad to help over the phone or email with any difficulties or send photos etc if you get stuck. If you wish to hire somebody to do the installation a home handyman etc would be adequate.